Low-cost but durable nickel plate. Works with a rope halter. Great for leads for minis and long lines where a lighter snap is better. Made in the usa. . 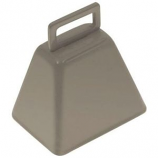 This cow bell produces a sharp tone and can be heard at long distances. For ranching and sporting events. One piece steel construction powder coated. For livestock control or use at sporting events. .
Package of 5 - 5/32 inch hair clips made of spring steel and zinc plated. 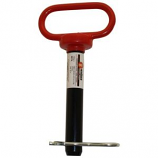 Hundreds of uses can be found on small and large equipment. 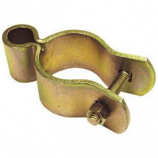 An ideal reusable fastener for ease of assembly on your machinery during production or repairing equipment. . . 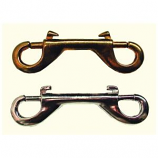 Helps you avoid tying ropes together with knots by utilizing bolt snaps at each end. 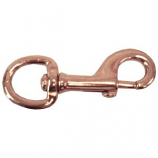 Designed for use with rope chain strap animal leashes and other home industrial and farm applications. . . .
Zinc plated normal steel. Used for chains and cables. Highly resistant against rust and corrosion. . .
Zinc plate steel. To mount a gate to a wooden post with a bolt. . . . 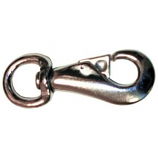 Heavy-duty extra large nickel plated snap hook. Full-swivel eye helps prevent tangles. 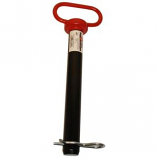 Provides secure connection quick disconnection for leashes straps gates ropes and other uses. . .
4-Mar. 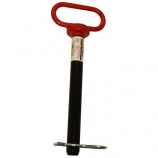 It is a one piece forged pin with a red vinyl coated handle. The pin features a black powder coated pin finish. Pins are a unique type of fastener that can hold two materials together non-permanently. .
8-May. 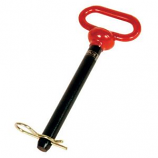 It is a one piece forged pin with a red vinyl coated handle. The pin features a black powder coated pin finish. 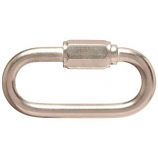 Pins are a unique type of fastener that can hold two materials together non-permanently. .
• Nickel Plated Zinc Alloy. • Zinc Plated Malleable Iron. • Nickel Plated- Malleable Iron. To mount a 1-3/4 steel gate. . . . .
• Zinc Plated Solid Brass. 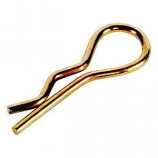 Package of 2 - 3/16 inch hair clips made of spring steel and zinc plated. 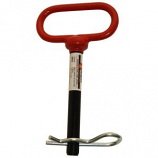 Hundreds of uses can be found on small and large equipment. 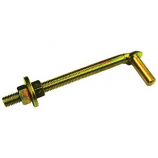 An ideal reusable fastener for ease of assembly on your machinery during production or repairing equipment. . .